What started as an idea eight months ago is now on the verge of becoming a reality. It’s been a long path getting here, and we’d like to take a second to reflect on our team’s journey. Eight months ago our team (Kim Martin, Beth Compton, and Ryan Hunt) hatched a plan to create Canada’s first mobile makerspace and digital education classroom. At that time we were calling this project the DHBus. Why DH? The three of us are graduate students who are all part of a field called the “digital humanities.” We wanted to take our academic field, which like many academic fields has a tendency to be somewhat niche, and bring it out into our community. After talking about our vision for the project, and how we wanted to serve the community, we decided to place a greater emphasis on the making side of our project, adopting the name the DHMakerBus. It was around this time that we were introduced to UnLondon. UnLondon exists to gather, create, and improve in London. Supportive of our project, UnLondon offered to partner with us, providing support and collaboration. By the end of Spring 2013 we had raised the money to bus a used school bus. Since we’re an extremely small team and resources are always difficult to come by, we decided to buy a bus with ‘character.’ We found our bus in a local scrapyard. It had low mileage and an affordable price. Since the windows had been left open on the bus over winter, a family of racoons had made the interior their home – needless to say, we bought a fixer-upper. 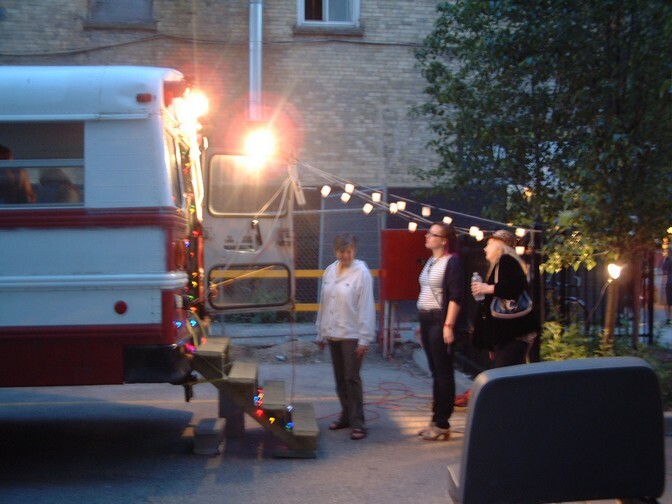 After Kim gave the interior a deep cleaning and the bus made a brief appearance at Nuit Blanche, the bus spent most of the summer at a mechanic having a few issues ironed out. Even though the MakerBus team didn’t have an actual working bus, it didn’t stop us from trying to raise awareness of making in London. In the past eight months we’ve hosted a mini-maker day called MAKE London, sold upcycled jewelry at the Western Fair Farmer’s Market, helped with Investing in Children’s Family Literacy Nights, successfully pitched at Awesome London, co-created two innovative digital literacy classes with Literacy Link South Central, and participated in many more exciting community events. Now we’re finally on the verge of realizing our dream. We’re working closely with three important community partners to make this dream a reality. Literacy Link South Central has been one of our biggest supporters – they’ve generous granted us with money to invest in acquiring equipment for the bus. 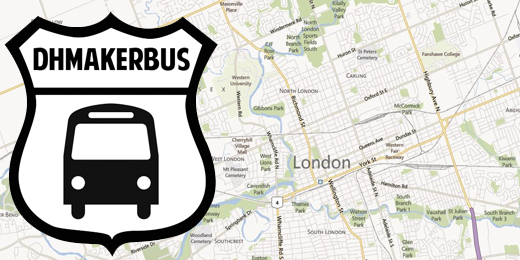 UnLondon is continuing their support, helping to fund and organize our current bus renovations. And Paul Graham, the owner of a local auto customization shop, has generously lending us his time, experience, and skill to help build a truly amazing bus. Just yesterday we were visiting Paul’s shop, creating a plan for the renovations that will begin next week. 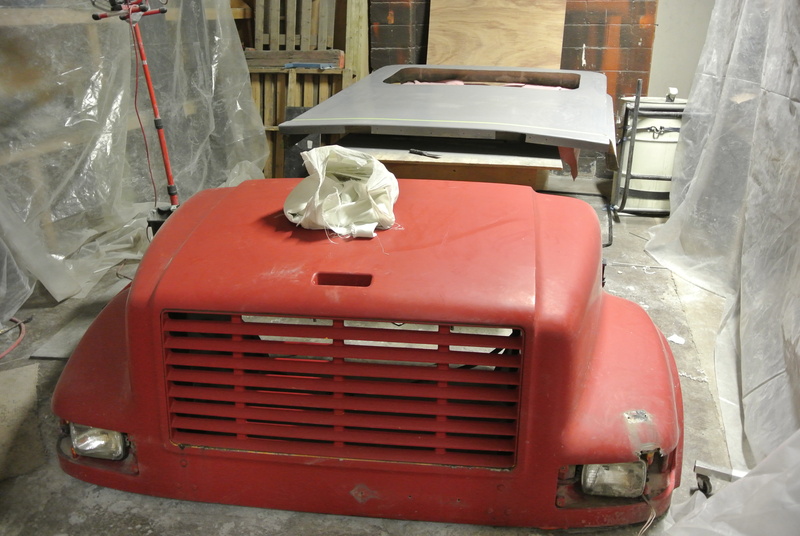 Paul has some exciting ideas for the MakerBus and by the time he’s finished, we promise you a bus like no other. Right now the MakerBus team, which has grown from three to six after James, Colleen, and Andrei have volunteered their time and passion, is busy planning London’s first wearable technology and made clothing fashion show at Museum London and working a strategic plan for the next year. It’s been a long road and we’ve been constantly amazed by the support and generosity of Londoners. Our goal is to get our community exciting about making. We want to give every single person in our community access to tools, technology, and education – and with the help of our fantastic community partners and the support of Londoners we are extremely close to making this dream a reality. We will be documenting the renovation process, look for more updates and learn how you can get involved in the coming days.